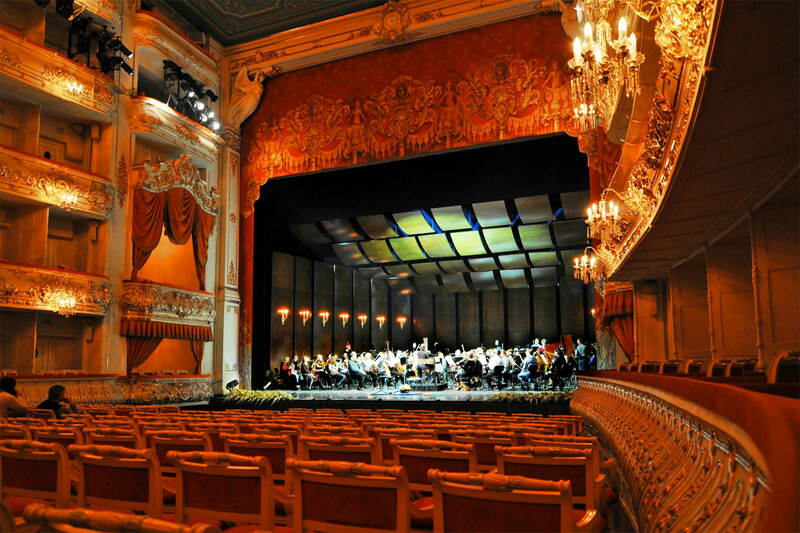 The Mikhailovsky Theatre is a magnificent opera and ballet house in the heart of St Petersburg, first opened in 1833. 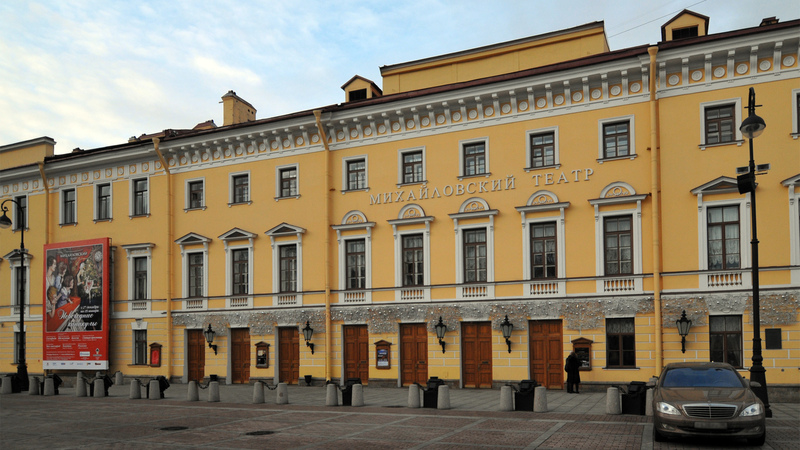 The theatre’s programme is primarily a repertoire of opera and ballet by the resident companies but the theatre also stages concerts by the resident Mikhailovsky Orchestra and by visiting orchestras. 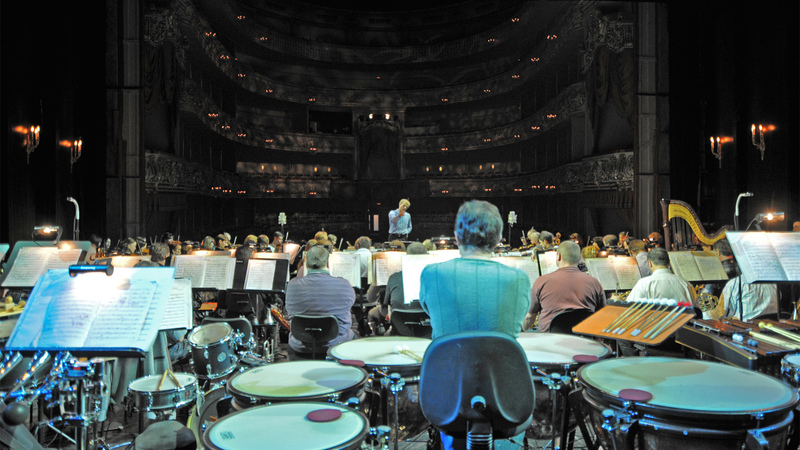 As often happens in opera houses and theatres, with the orchestra on the proscenium stage, much of the sound was lost into the stagehouse, making the acoustics difficult for the players and unsatisfying for the audience. We were initially appointed by the show designers and set builders Show Consulting, to advise on the temporary installation of a demountable orchestra shell that we had originally designed for the Juras Varti Theatre in Latvia. 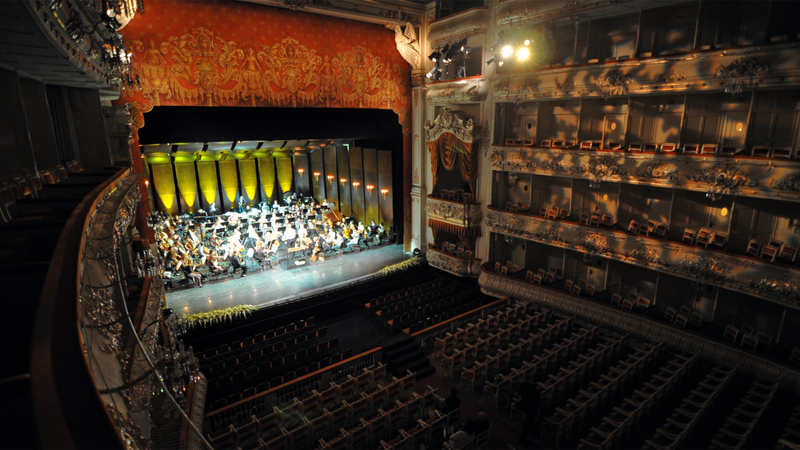 This shell was loaned to the Mikhailovsky Theatre at short notice for a high-profile gala concert in July 2011. We advised on the acoustics, supervised the installation, fine-tuned the installation during rehearsals and took acoustic measurements with and without the shell installed. The result was so successful that we were asked to design a similar shell for at all orchestral concerts. 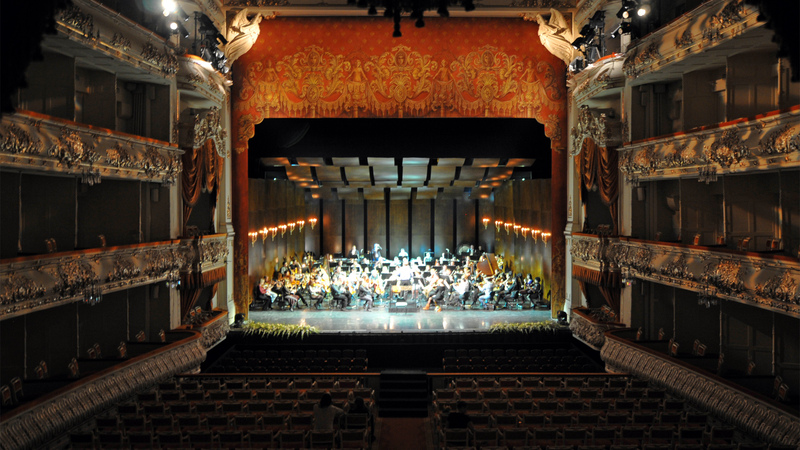 This shell was designed specifically for the acoustic of the Mikhailovsky Theatre. 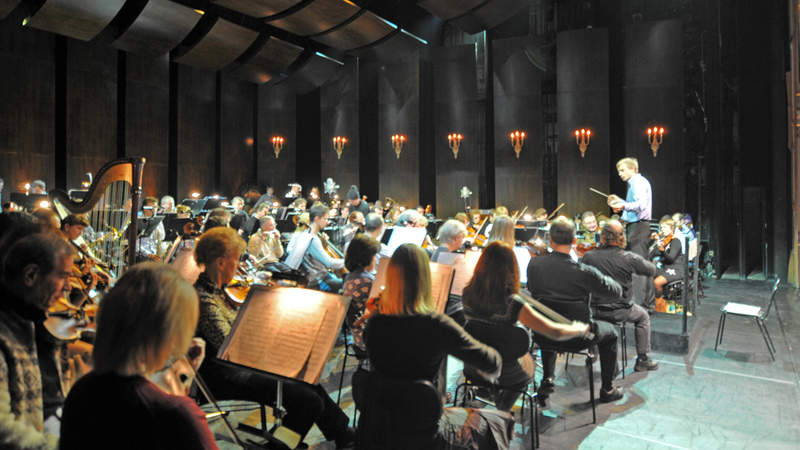 We supervised the installation, fine-tuned and commissioned the finished shell, which was first used for the New Year’s Eve 2011 concert conducted by Vasily Petrenko. To see a time lapse video showing the installation of the orchestra shell, please see our orchestra shells page.